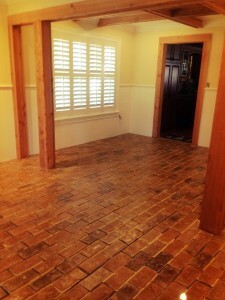 Check out port stone brick flooring!! Its a new type of flooring that is installed like ceramic tile. 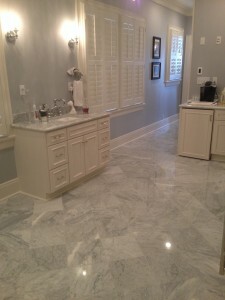 This is a recently completed job where we installed marble flooring. 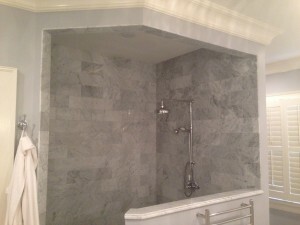 We sell ceramic tile, marble, polished porcelain, and many other styles of tile. Give us a call! 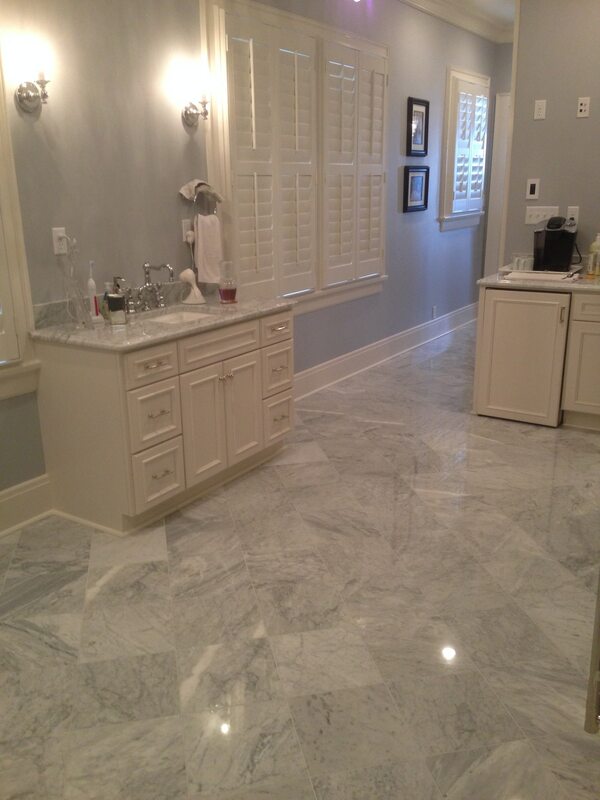 We give free estimates and would love to make your dream bathroom a reality! Needing carpet Plant City FL? Looking for carpet Plant City FL? Sunshine Interiors has been servicing the Plant City area for over 30 years. We offer all types of flooring. 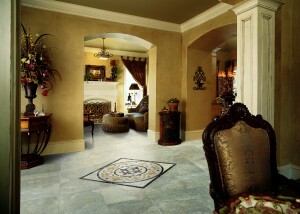 Carpet, ceramic tile, porcelain tile, laminate, and wood flooring. Weither you have a small bathroom, a whole house, or a whole business complex, no job is too small or too big. We give free estimates and offer financing. We also have a beautiful showroom at 2810 Drane Field Road in Lakeland. We look forward to serving you! Laminate flooring was created to simulate wood or tile and give homeowners another affordable alternative for flooring. Laminate is constructed with a photographic reproduction of wood or tile that is fused on a core board made from high-density fiberboard with a protective durable wear layer on top for scratch resistance. It is a floating floor with no glue needed and comes in different thicknesses from 7 mm – 12 mm. Laminate flooring is generally easier to maintain and install than hardwood floors, and that is why it has grown in popularity over the years. Even though laminate is more inexpensive that real hardwood floors, it’s still an investment you are making for your home so you will want to have the best quality and design for longevity and functionality. Designer trends have driven the industry to introduce new textures, colors, and varied species creating more available selections than in times past. These new designer looks and trends are more realistic than ever making it difficult to tell that it’s not real wood or tile! At Sunshine Interiors it’s all about the quality and the authentic look of your floors at the most competitive price around. Come in and see the varieties of samples available to select from, and our team of professionals will help you from selecting to the installation of your new flooring! Great deals on laminate flooring lakeland fl!! Now you can get everything you want with your new soft carpet! The best of both world’s—Performance and Luxury—all in one carpet. Let us introduce you to the most luxurious soft carpet with built-in stain resistance. Three times softer than the softest nylon, each yarn in Mohawk Smartstrand silk soft carpet contains more than 700 soft silk-like fibers. With built-in stain resistance, there is no need to reapply stain protection after steam cleaning like most nylon carpets. It never washes or wears off! It also doesn’t allow spills to penetrate the carpet fibers so you can enjoy built-in stain protection for the life of your soft carpet. Cleaning and maintenance is a breeze with this soft carpet. Check with the manufacturer when selecting the right vacuum for your soft carpet with details on bar height. On very plush carpets, a beater bar is generally not needed when vacuuming. Innovation that takes soft carpet to a whole new level. We have samples for you to take home in a huge range of colors. 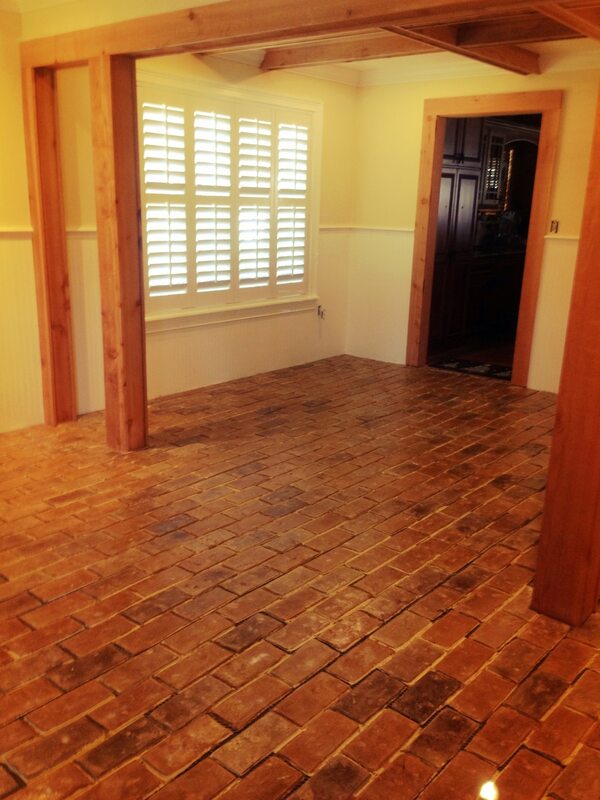 Our professional sales team can help you select the flooring that best suit your needs. Visit Sunshine Interiors today and see for yourself the soft carpet difference! Here at Sunshine Interiors, we offer many types of blinds. Faux blinds, mini blinds, vertical blinds, honeycomb shades, woven wood shades, plantation shutters, and more. Our buying power gives us the advantage of selling blinds at prices cheaper than places like Home Depot and Lowes. Even our cut down faux wood blinds are a better deal than their off the shelf prices. Why not come to a place that specializes in blinds than a place that specializes in wood and paint! And save money! We give free estimates and fast turn around. Our service is unbeatable. Give us a call at 863-644-5500 and seee why we are central Floridas top place to purchase blinds and window coverings.